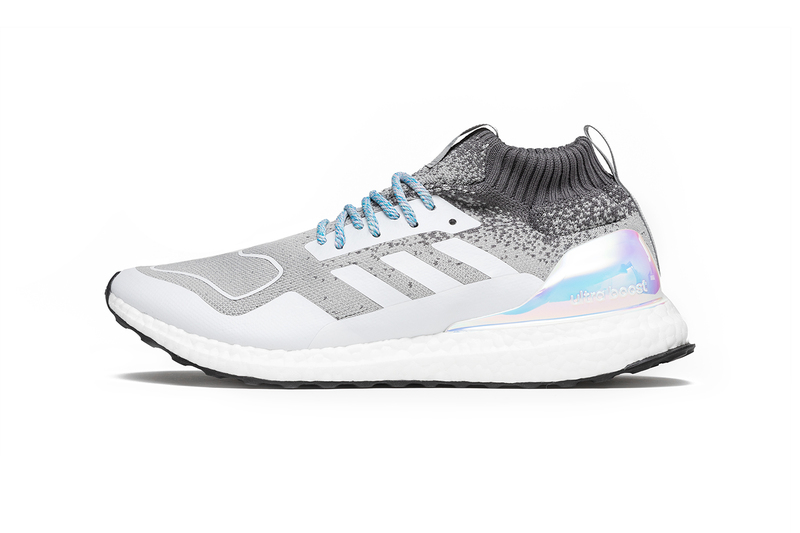 adidas BOOST Week Day 6 Showcases the Metallic-Accented UltraBoost Mid "Light Granite"
A subtle option with an iridescent pop. As adidas’s BOOST week nears its end, we see the launch of the UltraBoost Mid “Light Granite.” As the model name would suggest, the slightly higher Primeknit sock-style upper sees a tonal grey treatment with a gradient effect as it nears the collar. Where other iterations of the UB Mid have seen embossed or transparent Three Stripes applications, the “Light Granite” iteration makes use of an opaque white treatment to outline the toe box and create the adidas branding. The heel counter is crafted with an iridescent metallic finish that makes the otherwise subtle colorway pop. Take a look at all angles of the sneaker above and head to adidas.com to purchase your pair. adidas Originals UltraBOOST Mid Steps Out in "Light Granite"
Planes, custom weapons and Santa. Be on the lookout for his major label debut project.